Bobby pins are the ideal tools for creating soft, healthy waves. Heat styling has revolutionized and sped up the hair-curling process, making glamorous waves and curls possible in 30 minutes or less. However, heat-styling tools, like curling irons and flat irons, can cause serious damage to hair proteins, creating split ends and dull, lifeless tresses. Bobby-pin curls, on the other hand, create those soft glamorous waves without damaging hair proteins. 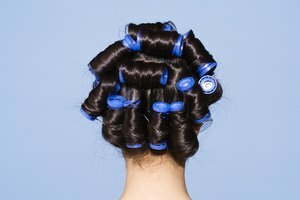 While pin curls are often associated with glamour shots, they also can provide a quick and natural solution for creating soft curls without the damaging heat. Wash and condition your hair as usual. Towel dry your tresses to remove excess moisture. Apply a dime-sized amount of curling conditioning cream to the palm of your hand. Rub your hands together to distribute the cream and run your fingers through your damp hair from root to tip. Separate a two-inch section of hair from near your right temple. Gently comb the section of hair with a fine-toothed comb. Wrap the ends of the section of hair around a couple of your fingers so that the hair rolls away from your face and underneath your fingers. 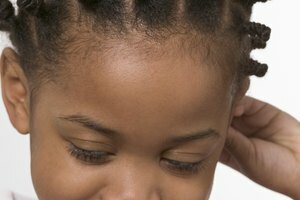 Roll your hair towards your scalp, making sure to roll the hair under rather than over. Keep wrapping the hair into a jellyroll shape until you reach your scalp. Lay the rolled hair flat on your scalp and push a bobby pin into the roll, securing the rolled hair to the head. You might have to use two bobby pins to keep the roll in place. Grab another two-inch section of hair next to the rolled hair you just pinned into place. Repeat the rolling and pinning process. Keep rolling and pinning two-inch sections of damp hair into place until your entire head has been pinned up. 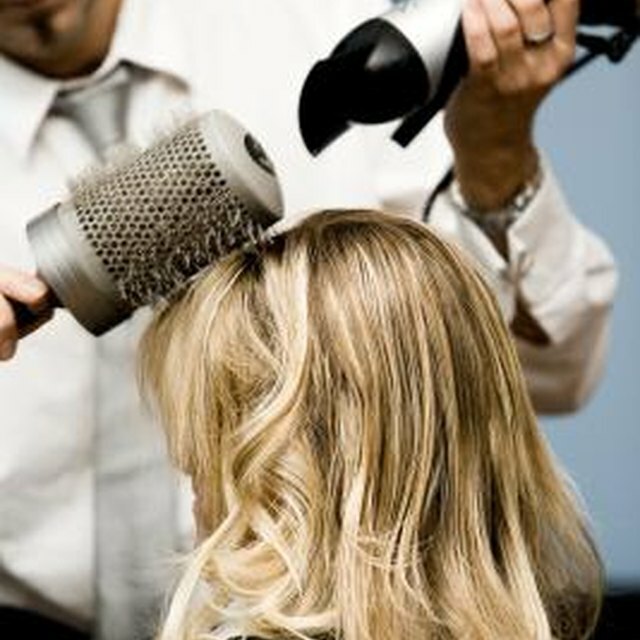 Allow your hair to dry completely. This can take anywhere between one and three hours, depending on the thickness of your hair. Spritz the rolled curls with a small amount of medium-hold hairspray. Unpin one curl at a time and gently allow the rolled hair to cascade down. Once you have unpinned all of the curls, place your fingers through your hair at the scalp and carefully shake them back and forth to gently loosen the curls. Wrap your head in a bandana and leave the pin curls in place overnight for tighter curls. Apply a tiny amount of smoothing serum to the top of the head -- or any areas that might have fly-away hairs -- once you have finished unrolling and combing your hair. Vrba, Sarah. "How to Do Soft Curls With a Bobby Pin." Synonym, https://classroom.synonym.com/soft-curls-bobby-pin-10207.html. Accessed 22 April 2019.